Make sure to install the latest Android Studio prior to attending this training. + Graphic resources download here. + Receiving parameters using name-value-pair. (installation will not be covered as it requires downloading big files for additional plugins, kindly install everything prior to attending the training). + Android Studio - make sure to test the installation by creating a new Android project. 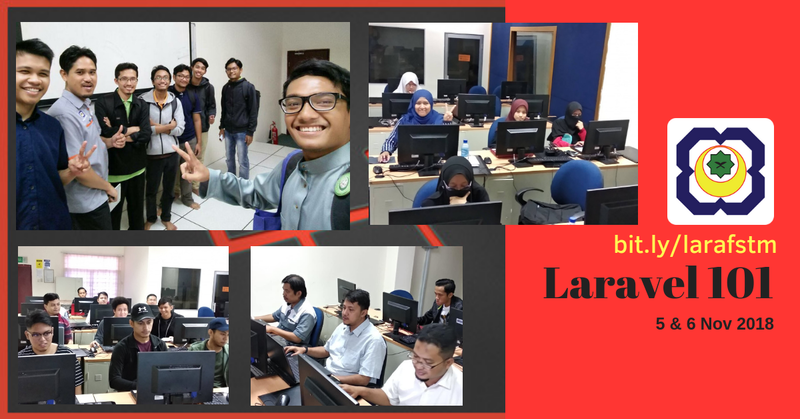 NEXT - 10th iteration Android Studio 2.3 Training 16 & 17 December 2017 . Make sure to install Android Studio prior to attending this training. Bring also a USB data cable and your Android device. Android Studio is the official integrated development environment (IDE) for Android platform development. Based on JetBrains' IntelliJ IDEA software, Android Studio is designed specifically for Android development. It is available for download on Windows, Mac OS X and Linux, and replaced Eclipse Android Development Tools (ADT) as Google's primary IDE for native Android application development. What will be covered in this training? The participants will be guided to create an Android app project, and how to handle the project codes and resources. We will add basic GUIs such as textbox, label, button, image, menus, screens and activities. The second day will be covering multiple screen interactions, local database, and maps. At the end of the training we will generate Android installer file (APK) and publish it to the Google Playstore. 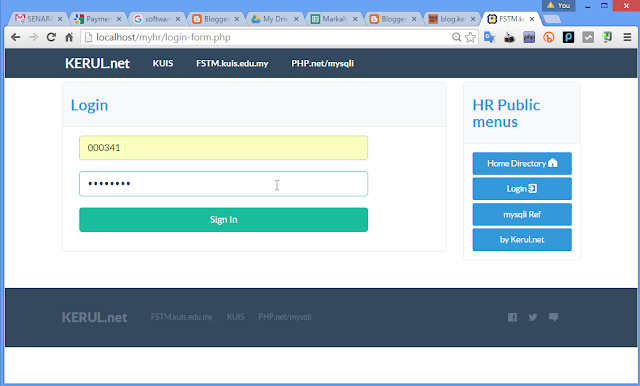 Prasyarat: tahu HTML (Bootstrap) & PHP. Perisian (sila install sendiri sebelum datang kursus): LARAGON, dicadangkan kod editor PHPStorm atau Eclipse for PHP. 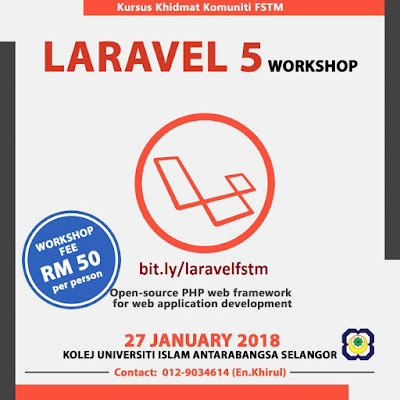 Kursus khidmat komuniti FSTM Laravel, dua hari sahaja. Bersama trainer Khirulnizam Abd Rahman. 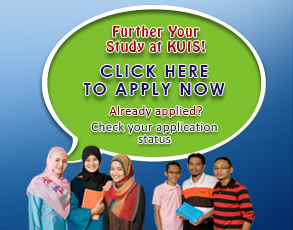 Pelajar non-KUIS: RM50, walk-in RM200.Peserta luar: RM100 sehingga walk-in RM200. Laptop & line Internet bawa sendiri. Tiada makanan disediakan. 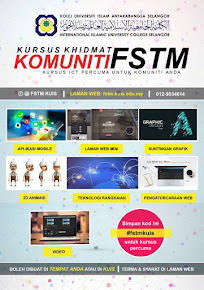 Sijil/resit tertakluk kepada permintaan. Editor kod: PHPStorm, sublime, vscode, atom. Day 2: Project Example: Search and CRUD. 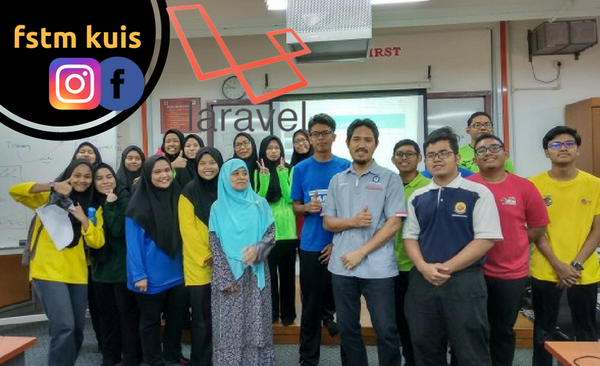 Bersama peserta2 sesi perkongsian Laravel/PHP di Kolej Vokasional Sepang, 27 & 28 Mac 2018. 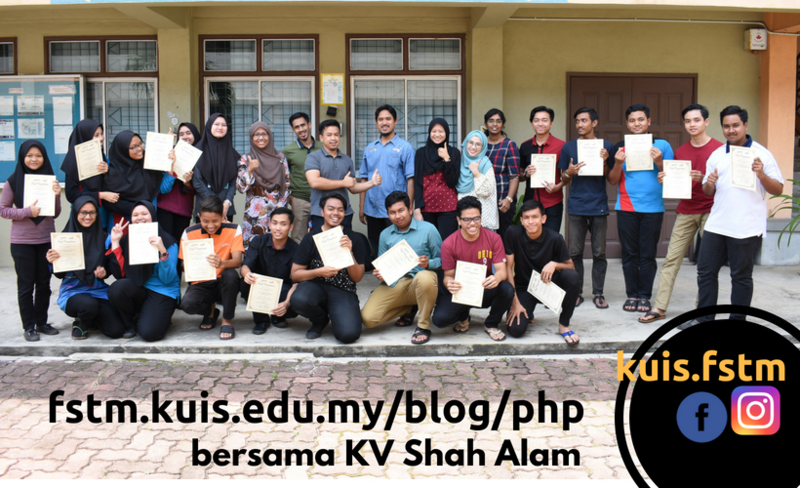 Bersama peserta2 sesi perkongsian PHP dari Kolej Vokasional Shah Alam, April 2018. There have been multiple advantages of PHP framework, while developing a website with a PHP framework. Utilizing the PHP framework can encourage website developers to show their best efforts. PHP framework inbuilt with robust functions: This framework is built with an excellent set of functions; you can abridge tough tasks and get quick results from PHP coding. PHP framework is freeware with various functions; utilizing these functions you can simplify the code in PHP. Database is a vital point: Database is the crucial factor for each project. It is the central point, where the entire data of the project are saved and called for, when required. 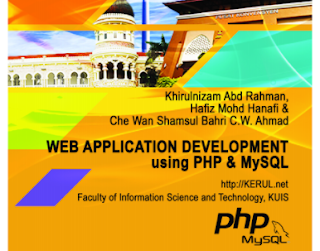 MySQL is utilized for the database requirements for PHP. Use wire-frame before coding: It is always beneficial to use wire frame before you start coding in PHP. The practice of using wire-frame, boost your web development projects effectively. Make sure the wire-frame club and all its elements are integrated perfectly. 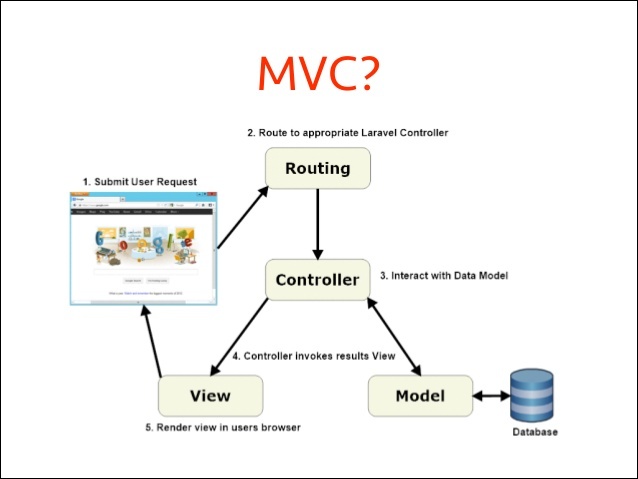 MVC – The Model-View-Controller architectural pattern helps you tier your code for easier maintenance. By keeping the data-manipulating logic separate from the bits that handle the display, you make it much easier to change either the template or the underlying code without touching the other. Bundled classes – A framework includes classes and helper functions for common tasks, such as database access, pagination, and form handling. Not to mention smaller things, like truncating text to a specific word/character count. Rapid development – Frameworks help you create a small to medium-sized application much quicker than if you wrote everything from scratch. If you’re in a hurry, using a framework will help you finish things before you reach that looming deadline. Laragon is a portable, isolated, fast & powerful universal development environment for PHP, Node.js, Python, Java, Go, Ruby. It is fast, lightweight, easy-to-use and easy-to-extend. 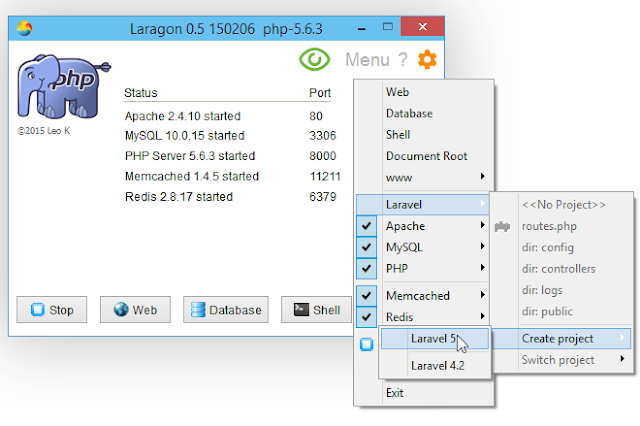 Laragon is great for building and managing modern web applications. It is focused on performance - designed around stability, simplicity, flexibility and freedom. 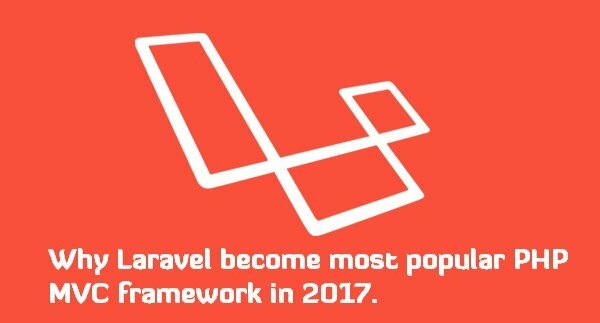 Laragon improves web development. Developers all over the world are using Laragon to make apps quickly and easily. It is used by thousands of developers with loves. You can check out the Testimonials to see how users think of Laragon and it’s features page for more details. 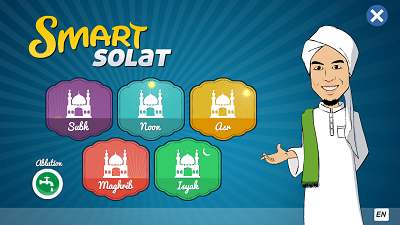 Do make sure all tools are installed and ready. Expect a long download project package for the first time. In .env - edit database configuration settings. Best practice to have the same name as the table name. Table name plural, model name singular. 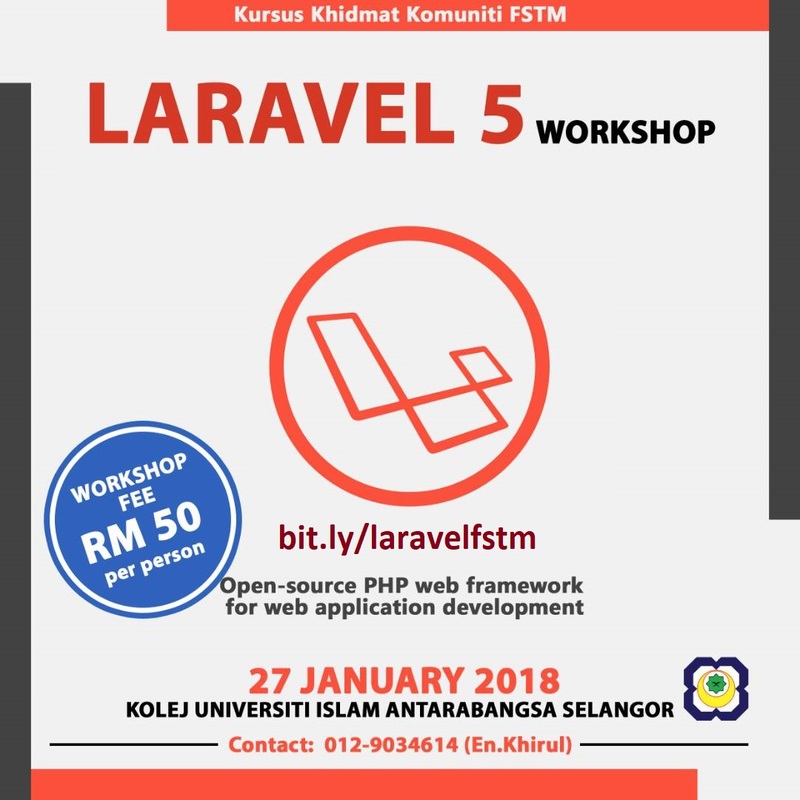 Kursus khidmat komuniti FSTM Laravel. Jangka satu hari sahaja. Bersama trainer Khirulnizam Abd Rahman. Laptop & line Internet sendiri. Tiada makanan disediakan. 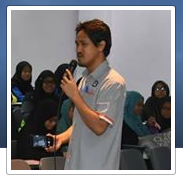 Sijil tertakluk kepada permintaan. Applying HTML5 & BootStrap as on the Client-side.